With the technology intensification, legacy systems and spreadsheets are slowly diminishing. However, CIOs and business leaders are finding it challenging to manage the migration to a full-fledged CRM solution to deliver clear business value and automate the entire CRM cycle. To keep pace with this transition, Singapore based Deskera offers a web based CRM solution to organizations with a single integrated view of customers and helps automate critical sales processes with leads, contacts, accounts, and campaign management. Deskera incorporates a user-friendly spreadsheet interface with 'Click and Type' functionality that allows selecting, editing, and manipulating data while simultaneously using full CRM capabilities. Deskera delivers real-time customizable CRM dashboard to access customer details from a single screen. With next generation dashboards called ‘Mashboards,’ Deskera provides new and hybrid dashboard design techniques. 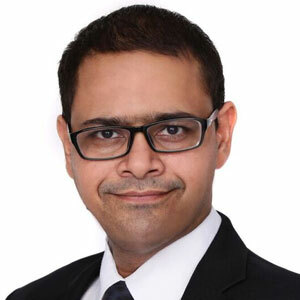 “Deskera CRM allows users to have relevant customer information such as quotations, project, customer, vendor and product details which are synced between multiple Deskera applications in real-time,” says Saurabh Srivastava, VP of Deskera. This allows all departments to have access to accurate and current information. “Our highly functional CRM solution easily implements customer-centric approach and ensures effective sales management strategies through lead tracking, email marketing, customer support and product management,” explains Srivastava. The competent solutions facilitate clients to gain momentum in service effectiveness and significantly attain measurable transformation in their business process. In an implementation highlight, one of the customers, a provider of fitness equipment to individuals and institutes, faced difficulty in tracking planned and unplanned service management requests. Every customer had a different service schedule and the details were in a paper contract. With an integrated offering of Deskera CRM and Deskera Financials, the service schedules showed up on the inray of service engineers, allowing the client to provide an enhanced customer experience. Deskera stands out in integrated CRM marketplace by being the only pure-play SaaS organization with an integrated system. “This, coupled with immediate activation and complete implementation in less than four weeks, translates into a quick ROI for organizations,” asserts Srivastava. In addition to sales and support (Deskera CRM), Deskera systems cover significant areas like Project Management (Deskera PM), Accounting and Inventory Management (Deskera Financials and Deskera Inventory), Human Capital Management (Deskera HRMS, eLeave, eClaims, eTraining), and Learning and Education Management (Deskera LMS). Additionally, Deskera is fueled by its innovation lab to tap into new technologies. “Our innovation lab has a single objective to create an ecosystem where users can sign in once to access all business processes from sale to support, project planning to execution, hire to retire, and payment to procurement,” states Srivastava. In the days to come, Deskera will continue to push the boundaries of CRM by offering innovative products and streamlining organizational processes that promote existing and prospective customers to strengthen their sales in organization. “The company is also planning to introduce 0-day pre-tailored local flavors of an integrated CRM-Financials-HRM system for multiple geographies with inbuilt statutory compliances,” concludes Srivastava. A provider of web based CRM solution that offers organization with a single view of customers and helps automate critical sales processes with leads, contacts, accounts and campaign management.